This year's German Literature Month is focusing on female writers, and when I started to think what books to choose, Funke was the only German female writer that came to my mind. The only one! I shamed myself and consulted the Internet, but even after that Inkheart remained the most alluring choice. Well, what can I say, I'm in a really escapist mood right now :) I'm craving something magic and beautiful, and this novel is THE BEST for this! 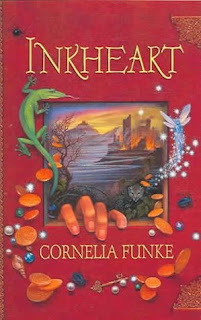 There is every component of a great children's book in Inkheart: a bunch of scary bad guys, a brave little girl as a protagonist, a really cool dad with a mysterious past, beautiful mountainous settings, chases, fights, magic, and a cute little marten with horns! What makes Inkheart special though, is that it's all about books, about different worlds inside them that are so real they can come to life, about the comfort reading brings in difficult situations and about all the cool books out there that wait to be read. References to some of my own childhood favourites, such as Treasure Island or Pippi Longstocking made me smile more than once. I haven't had the time to read this one yet but you made it sound so appealing. 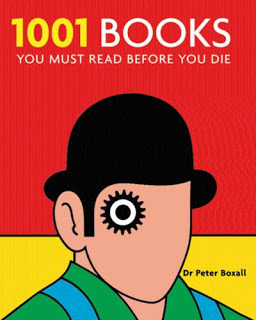 I didn't know it was about books as well. I love that.